Chagas disease is an important etiology of heart failure, stroke, arrhythmia, and sudden death. American Heart Association has released a new scientific statement which has been published in the American Heart Association journal Circulation. The statement. summarizes the most up-to-date information on diagnosis, screening and treatment of T cruzi infection. The intent is to increase the recognition of Chagas cardiomyopathy in low-prevalence areas and improve care for patients with Chagas heart disease around the world. Chagas disease is caused by a parasite, transmitted by a blood-sucking insect— Trypanosoma cruzi – and less frequently, from mother to fetus or by contaminated food or drink. 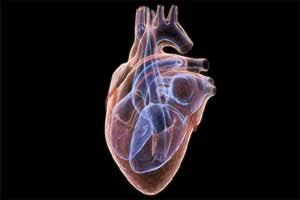 About one-third of infected individuals develop chronic heart disease. Though mostly found in Central and South America, Chagas disease has become more common worldwide, including an estimated 300,000 infected persons in the United States. Early detection of Chagas disease is critical, allowing prompt initiation of therapy when the evidence for a cure is strong. Chagas cardiomyopathy is the most important clinical manifestation of the Chagas disease, resulting in the majority of Chagas morbidity and mortality. Though generally classified as having a hemodynamic pattern of dilated cardiomyopathy, the typical predominant distribution of fibrosis to the posterior and apical regions of the left ventricle and involvement of the sinus node and the electrical conduction system distinguishes Chagas disease from other cardiomyopathies. Chagas cardiomyopathy carries a poor prognosis compared to other forms of cardiomyopathy, including hypertensive heart disease, idiopathic dilated cardiomyopathy, and ischemic cardiomyopathy. When controlling for the severity of ventricular dysfunction and other co-variates, Chagas emerges as an independent predictor of mortality. Poor outcomes have been attributed to the aggressive ventricular remodelling observed in the Chagas patients, which puts them at higher risk for fatal arrhythmias and other adverse events. The current recommendation for evaluation of a patient in the United States with suspected or newly diagnosed Chagas disease includes serological confirmation, based on two different assays for anti-T. cruzi IgG, a history, physical exam, ECG, and a 30-sec rhythm strip. Additional cardiac and gastrointestinal workup is only recommended when this first evaluation raises clinical suspicion of more advanced disease forms. Anti-trypanosomal treatments are complex and important uncertainties remain. Early biomarkers of therapeutic efficacy are needed in order to better evaluate and address antiparasitic treatment to develop more accurate treatment recommendations for patients around the globe. Several key characteristics of Chagas disease make the development of early biomarkers critical. First, the majority of patients with the Chagas disease are asymptomatic until presenting with severe, typically irreversible cardiac or gastrointestinal symptoms and complications. Second, parasites in the chronic form are typically rooted in deep tissues, with only transient low levels of circulating parasites, undetectable by classic parasitological methods. Finally, the gold standard tool of certificate cure is conventional serology, but negative seroconversion can lag years behind a cure. Progress has been shown in this area of research, and there has been an attempt to define the ideal characteristics of a biomarker of early treatment response, however, most studies have been conducted in single, homogenous populations, making the comparison and generalization challenging. Though the etiology of the Chagas disease was first described over 100 years ago, it remains a largely neglected disease, with insufficient diagnostic, therapeutic, and prognostic advances. Compounding the health-care inequality, these patients are often cared for by providers with little knowledge of the Chagas disease. High-quality epidemiological research and investment in provider education are urgently needed to improve recognition of and care for Chagas disease outside of Latin America. Due to the complexity of the disease, it is likely that future success will come through a panel of several biomarkers organized through an algorithm, and not by one single “gold standard” marker of cure. In addition to direct patient benefit, reliable biomarkers would also strengthen and shorten clinical trials, facilitating the discovery of new therapeutics for Chagas disease. In order to minimize risk, people should avoid sleeping in houses with un-plastered adobe walls and/or thatch roofs, and avoid unpasteurized sugar cane juice, açai fruit juice, and other juices when visiting affected countries.